Summary: Join us for a book group at the Magnolia Branch. Everyone is welcome. This month’s title is "Out of Africa; and, Shadows on the Grass" by Isak Dinesen. Please note: this group's meeting time has changed. Book discussions now begin at 12:30 p.m.
Out of Africa and Shadows on the Grass by Isak Dinesan tells of Karen Blixen’s twenty years in Africa beginning in 1914. It is a lyrical, beautiful book full of the wonders of this vast, stunning land. Martin A. Hansen, The Liar. ; Knud Sønderby, Midt i en jazztid. ; Karen Blixen, Out of Africa. Karen Dinesen was born about 15 miles north of Copenhagen, Denmark, and grew up on her family's spacious estate. When she was 10 years old, her father killed himself, leaving his wife to raise five children alone. Karen later described an unhappy childhood amidst strict Victorian conventions. She turned to storytelling as a source of comfort and began writing at a young age. She published two ghost stories in 1907 and 1909. She attended a school of design in Copenhagen, and later the Danish Royal Academy of Art. In 1913, Karen married her Swedish cousin Baron Bror von Blixen-Finecke and moved to Kenya with him to work a coffee plantation in the Ngong Hills. The marriage was unhappy and resulted in divorce in 1921. However, Karen found her years in Africa to be her most liberating and challenging. After the divorce, she ran the coffee farm by herself and lived alone, an uncommon practice at the time. She chose the pseudonym Isak Dinesen for her writings in English and Danish that began to be published in the 1930s. Around the same time, the coffee farm failed, and she returned to live in Denmark for the rest of her life. She maintained a public image as a charismatic, mysterious old baroness and became an inspiring figure in Danish culture. 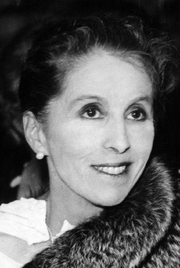 Isak Dinesen was widely respected by her contemporaries such as Ernest Hemingway and Truman Capote. Affected by a degenerative disease believed to be syphilis, she suffered severe weight loss and other symptoms such as loss of sensation in her legs. In the 1950s, she did several radio broadcasts and made a tour of the USA. Isak Dinesen has a Legacy Library. Legacy libraries are the personal libraries of famous readers, entered by LibraryThing members from the Legacy Libraries group. » Isak Dinesen's legacy profile. Isak Dinesen is currently considered a "single author." If one or more works are by a distinct, homonymous authors, go ahead and split the author. Isak Dinesen is composed of 38 names. You can examine and separate out names.